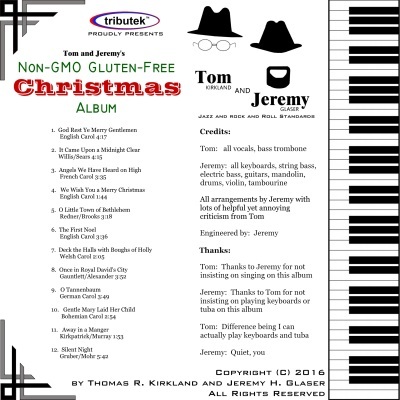 Tom sings a smooth baritone while Jeremy plays piano. Variety is added by taking solo verses on piano and trombone with various mutes and plunger. In a small room we usually perfrom without amplifcation. We can handle rooms of all sizes and outdoor venues with amplification which we provide. All we need is an electrical outlet and an audience. If you have an acoustic piano we can work with that, or we will bring our own electronic piano. 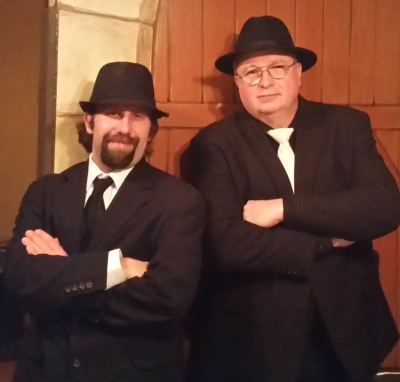 Tom and Jeremy are well connected with musicians in the far west suburban area of Chicagoland and often add guitar, drums, bass, sax, trumpet or others to create a band that meets the needs of your event. We have put together groups of up to six to seven musicians. Tom is a singer, plays bass trombone, tuba, and keyboards. He has a BA in Industrial Management with minors in Music Education and Industrial Engineering. Jeremy is a pianist, plays bass guitar, double bass, guitars and drums. He has a BA in Music Composition. Wide variety of music in a duo format. Easily expand to a band if you like our style but want a larger group. A classic from the 1920s. Sinatra's first big hit, presented with a Latin flavor. A little known gem written by the pianist of Bing Crosby's original jazz duo. The ultimate American song about "the mother road." A German Schlager song about mixed-up priorities that is an Oktoberfest favorite. Simple and direct. Not at all like the Super Bowl people do it. 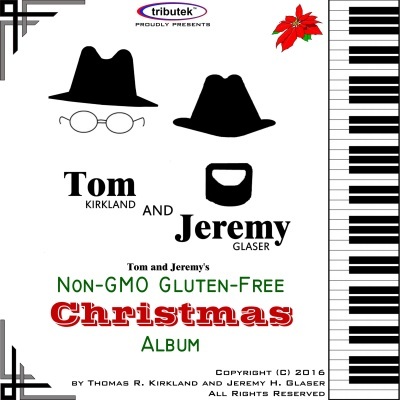 An upbeat version from our 2016 Christmas Album. From our 2016 Christmas Album. Simple version if an Irish classic. The most sung and recorded Mexican song in history. When you need a little New Orleans in your life. Our first Christmas Album contained fun and sometimes unexpected upbeat arrangements of classic Christmas songs and hymns. 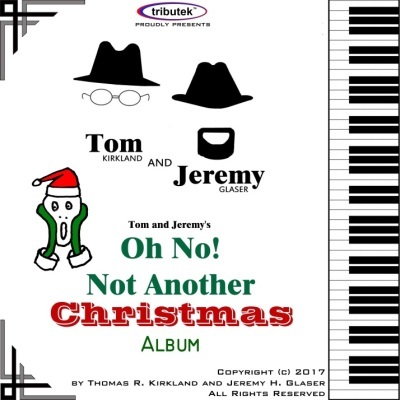 All performed by Tom and Jeremy with no computer-generated backing tracks. Fun for all ages but children particularly seem to like it. We're not sure why. So we went ahead and recoded a second one. Same overall concept, just different songs.